Released on Friday 15th June 2018. Stories In Trance are proud to showcase SIT 158 by Craig London with the three track single Dunes, including the Original and remixes from Soundwave & Abide. Up first is the Original mix. 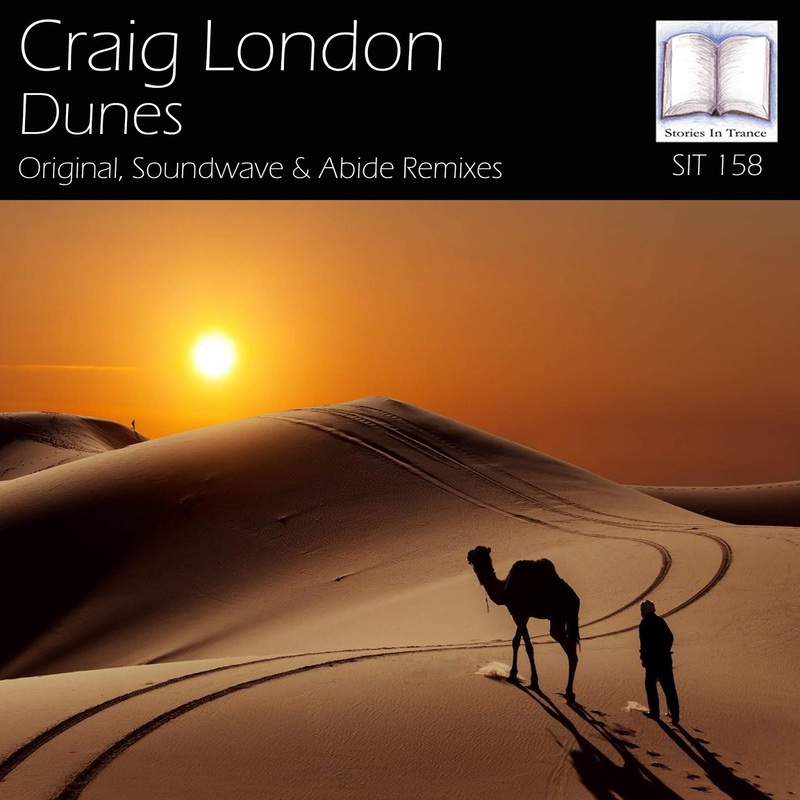 Craig follows up his recent remix of Soundwave's That Beautiful Morning (SIT 157) with another stellar creation. Expertly combining a melodic and energetic feel balanced perfectly with brilliant atmospheric and emotive vocal layering to give this track a superb uplifting aura. Yet another piece of trance brilliance for Craig's impressive catalogue of productions. The first of two remixes comes from Soundwave. Italian producer Adrian Iamandei follows on from his double a-side That Beautiful Morning / Star12012015 (SIT 157) with this great remix. The track creatively blends energy alongside superb atmosphere and brilliant use of the lead melody with excellent production finesse. Another fantastic uplifting trancer from Soundwave to continue his awesome production form. Rounding off this release is the Abide remix. Hailing from Slovakia, Abide makes his fourth appearance on SIT and builds around his now well honed uplifting style whilst adding his own creative touches to the piece. He uses the lead to great effect, perfectly complimenting the euphoric feel of the original with beautifully subtle piano layering.